You are currently browsing the tag archive for the ‘synthesis’ tag. “There is thus this completely decisive property of complexity, that there exists a critical size below which the process of synthesis is degenerative, but above which the phenomenon of synthesis, if properly arranged, can become explosive, in other words, where syntheses of automata can proceed in such a manner that each automaton will produce other automata which are more complex and of higher potentialities than itself“. 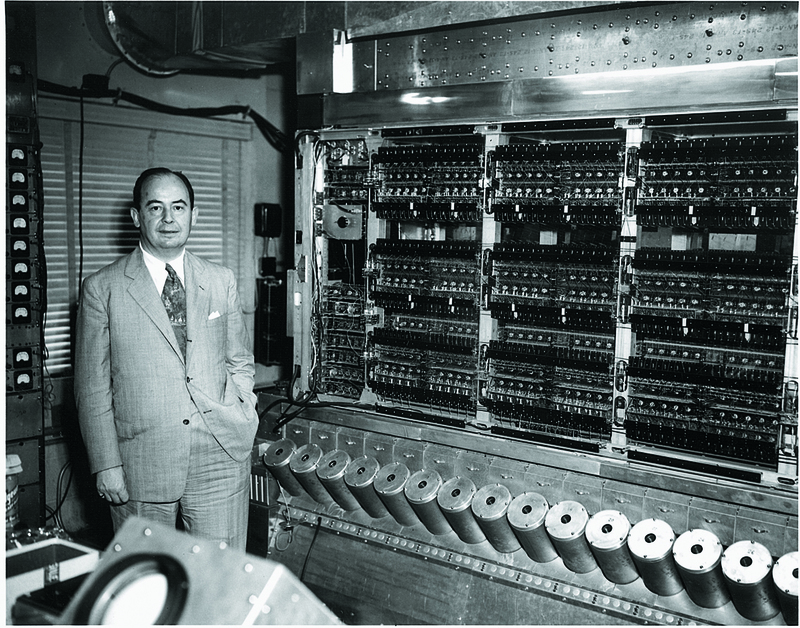 ~ John von Neumann, in his 1949 University of Illinois lectures on the Theory and Organization of Complicated Automata [J. von Neumann, Theory of self-reproducing automata, 1949 Univ. of Illinois Lectures on the Theory and Organization of Complicated Automata, ed. A.W. Burks (University of Illinois Press, Urbana, IL, 1966). ].